Great Taste, the world’s most coveted blind-tasted food awards, which celebrates the very best in food and drink, has announced the Great Taste stars of 2016. Out of 10,000 products to be judged, two Taiwanese Oolongs that we submitted this year both won awards. Curious Tea was awarded a 1-star Great Taste award for our Deep Baked GABA Oolong and a 2-star Great Taste award for our Organic Milk Oolong. The judges thought that our Deep Baked GABA Oolong was ‘nicely roasted with nuttiness and crisp, roasty notes’, while also being ‘rich yet clean and light with some sweetness behind the roasted character’. And they particularly liked our Organic Milk Oolong, remarking that it has ‘a good colour to the infusion, which has good brassica notes but is also reminiscent of coconut water and full cream milk – yet is clean and delicate in character’. This is the first time we have entered the Great Taste Awards and could not be more excited with the outcome! 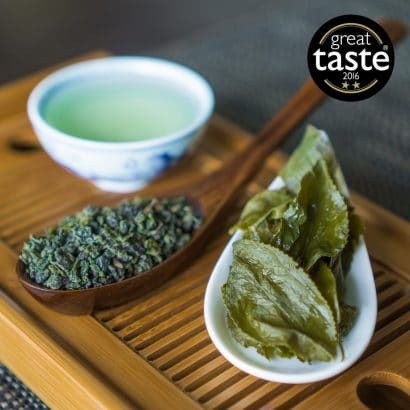 We have a close working relationship with the Tea Master responsible for these teas in Taiwan and we know that she will be thrilled with these awards. Taiwan truly produces some of the world’s finest oolongs and we are pleased to offer a wide range of Taiwanese teas in our online shop. 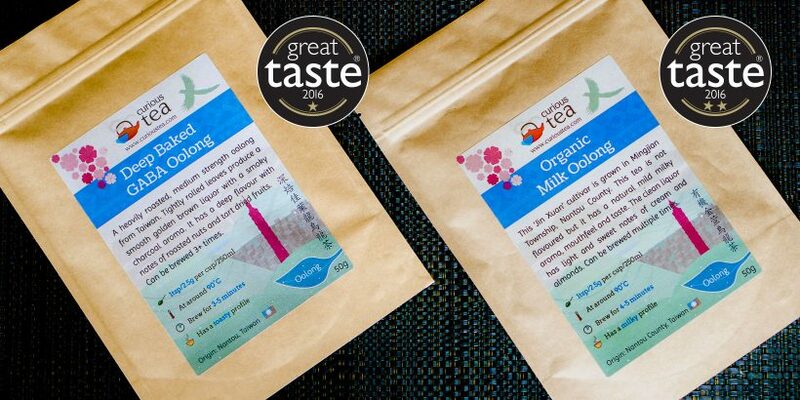 You can buy our 1-Star Great Taste Award winning Deep Baked GABA Oolong and our 2-Star Great Taste Award winning Organic Milk Oolong in our online shop. Congratulations! Your site is full of good things!